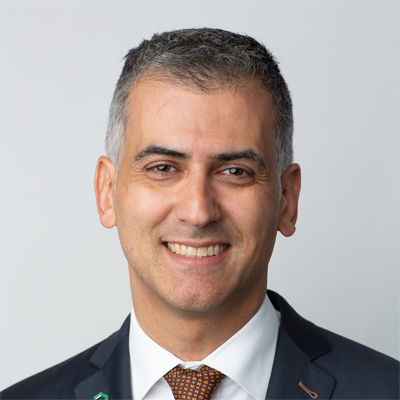 Chadi Habib is the Executive Vice President Information Technology at Desjardins Group. Consisting of nearly 4000 technology professionals, his organization is accountable for all technology solutions and operations to the banking and insurance sectors of the group. He assumes the coleadership of the digital transformation initiated by Desjardins Group, an important shift which aims to enhance all services offered to Desjardins’ 7 million members and clients. Prior to coming to Desjardins in 2011, Chadi has held various executive positions in the United States and in Europe. He has a Bachelor’s degree in Mechanical Engineering from McGill University and a Master’s degree in Business Administration from the Richard Ivey School of Business.